“This chapter is based two propositions. 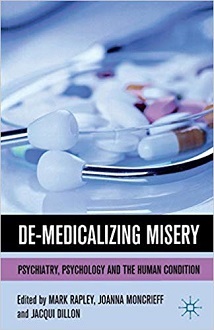 The first is that if we are ever to de-medicalize misery, then both the impact of people’s environments and their life experiences, as major causes of emotional distress, and the social significance of these connections will have to be made more prominent. The second proposition is that both psychiatry and clinical psychology so avoid giving prominence to people’s contexts in their theory, research and practice that we might reasonably ask why. 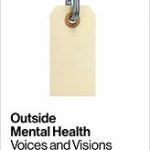 Are they acting in accordance with evidence, has research demonstrated that life experience is not very important or, given what we know of the links between of avoidance and fear, are psychiatry and clinical psychology actually rather fearful of context? 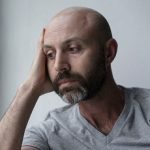 The evidence that what has happened and is happening to people in their lives plays a major role in creating various forms of emotional distress and behavioural problems – including psychosis – is very strong … stronger than any we have for genetic or biological causes. So, if context is not at the forefront of psychiatric and clinical psychological theory and practice, then avoidance is likely to be associated with something other than a neutral presentation of evidence. … It is important to emphasize that I’m not suggesting that … [avoidance] strategies are consciously or deliberately devised and deployed to serve a particular purpose. They are, rather, part of everyday discursive, theoretical, empirical and clinical practice, whose origins and effects are rarely questioned. Indeed, within the mainstream it is not assumed that these practices have origins and effects apart from reflecting reality and furthering scientific progress. In psychiatry, the most obvious pure avoidance strategy is simply to convert distress and problem behaviour to ‘symptoms’ and ‘disorders’ and focus entirely on these and their associated diagnostic categories. It is possible to talk extensively about people, and to produce vast amounts of research, using this strategy without once mentioning any life experiences as in, for example the study of symptom clusters, the development of symptom checklists, computations of diagnostic reliability or of the relationships between symptoms and diagnoses, and diagnoses and outcomes. Read more within Chapter 3 of the book concerned.